Six Geese a swimming, eventually! 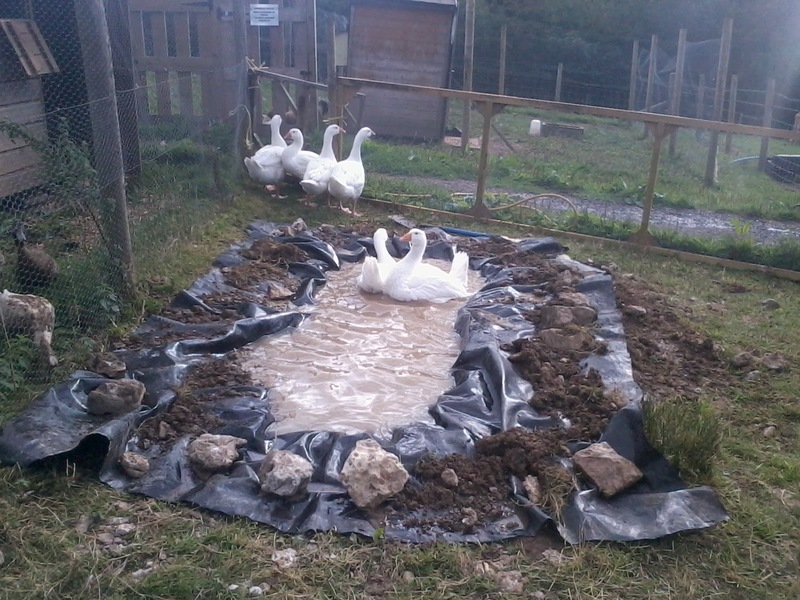 This week we have been busy digging out a pond for our Geese and at first they did not seem too impressed, but eventually they took the plunge and now it is difficult to get them out. Definitely a job worth doing. At last! 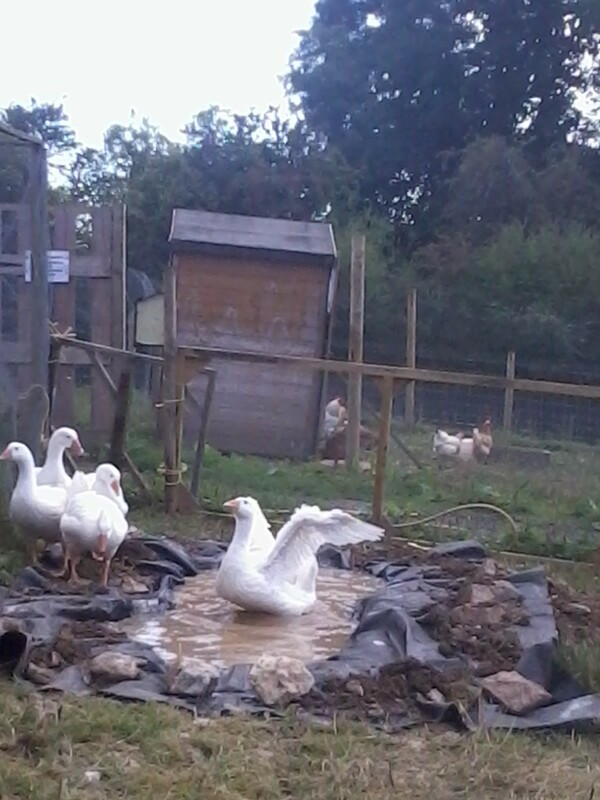 All geese take the plunge. A job worth doing. 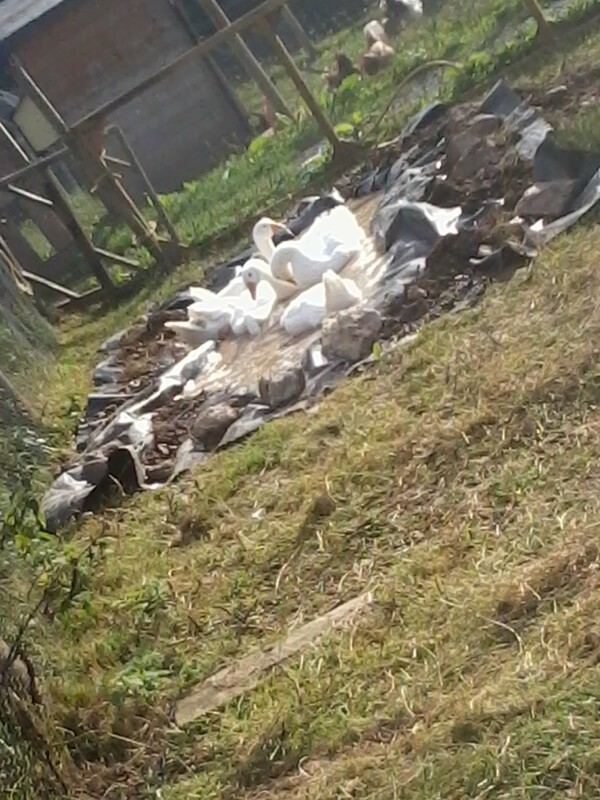 This entry was posted in geese and tagged geese by abbrookfarm. Bookmark the permalink.